IT always happens — new year, new goals in trying to build our lives in order. Whether it’s financial, health or simply cleaning house; we always try to reach that goal of being organized. Just as 2019 entered, online streaming service Netflix released “Tidying Up with Marie Kondo,” a reality series on the Japanese organizing consultant on the art of keeping your home and workspace tidy and organized. 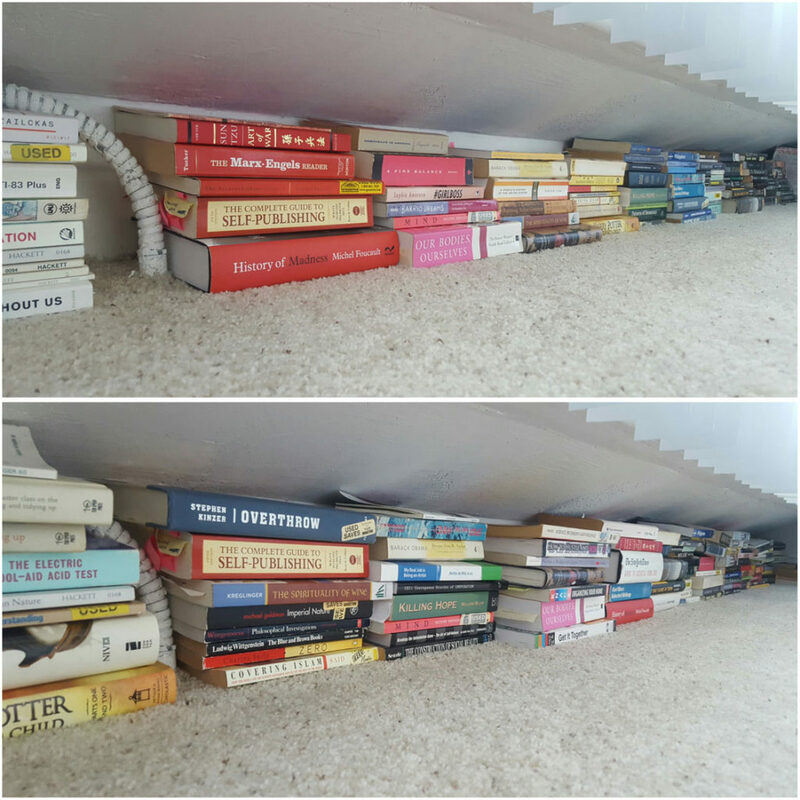 This sent waves of people trying to “de-clutter” their spaces, in the hope that they’d be able to streamline what they need versus what they want. Unfortunately, not all of us get to our goal and maintain it. Professional organizer Jiliane Patriarca, founder of The Organization Organization (TOO) believes that being able to organize one’s space and maintaining it is achievable. “I recently saw a post on social media that said, ‘A dream written down with a date becomes a goal. A goal broken down into steps becomes a plan. A plan backed by action becomes a reality.’ I couldn’t agree with this quote more and I believe one can use it to achieve and maintain a New Year goal,” she said. 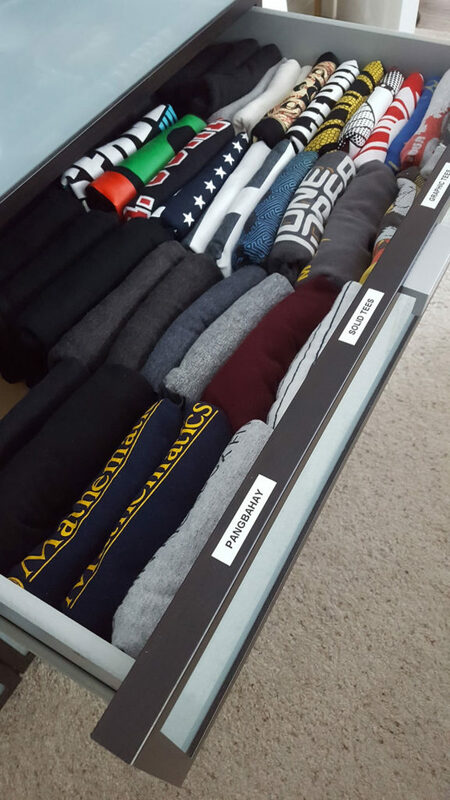 While many people think that hiring a professional organizer is expensive, Jiliane explained that the savings are found in terms of time and money in the long run. “According to the National Association of Productivity and Organizing Professionals (NAPO), of which I am a member, we spend one year of our lives looking for lost items. That’s a year we could be spending traveling or writing a book! And according to the Becoming Minimalist website, households who rent additional self-storage unit spend an average of over $1,000 a year in rent. If you’ve rented a storage unit for five years, that’s $5,000 that could have been spent on a trip around the world. Professional organizers are efficient with time, strategies, and tools for organizing and its process. I am constantly keeping up with the newest organizing tools and ideas so that when I enter a client’s home, I can already envision a solution for their organizing problem in my head. Clutter and disorganization that has been sitting around for 20 years can be gone in a few days with a professional organizer,” she said. Jiliane established TOO in 2014 to help others create the most intuitive organizing system and process. 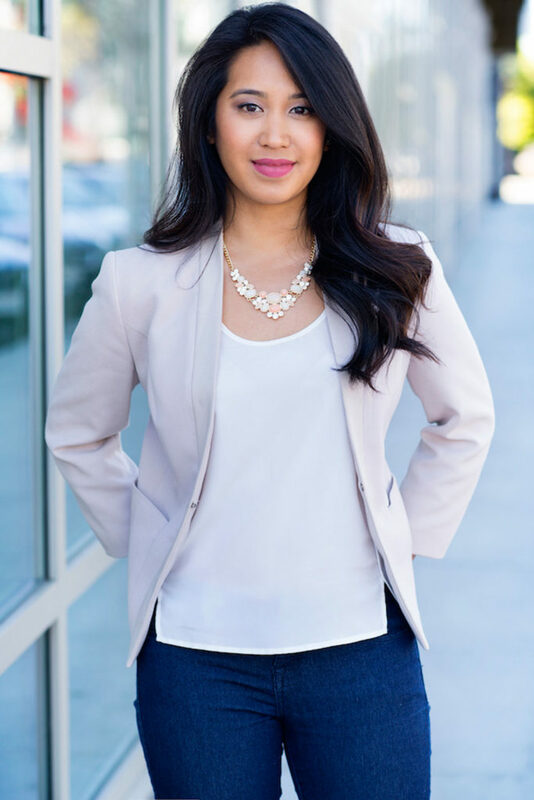 A daughter of Filipino immigrants, her journey to being a professional organizer was not planned, but more a realization during a time when she was searching for the right job. Her talent for organizing, however, was already in her before that. Since it started, TOO has grown and is now offering clients to organize not only their homes or workspace, but their events as well. “Life is full of changes — whether it be getting married, moving, having a new baby, or celebrating an anniversary. Our mission is to help keep you organized through it all and to be the people you trust to call at each of life’s transitions. We now offer Wedding Coordination and Event Planning, and our organizing services now extend to helping establish Legacy Systems,” Jiliane said. The best part is that after the wedding and honeymoon, TOO can also help their newly married clients with organizing their home. We always hear people say that they’re in the state of “organized chaos,” meaning that no matter how cluttered their space is, they can still function efficiently. Jiliane believes that there is such a thing and that people work differently. “We are all individuals and the way we think, process, and file information differs. There are certainly people who know exactly where one piece of paper is in a stack of thirty,” she explained. “The point, I believe, where a professional organizer is needed is when the ‘organized chaos’ gets in the way of healthy life and safe environment for oneself of their family, whether that be physically or mentally. Of course, chaos always happens when people are stuck with thousands of things they claim to have some sort of sentimental or monetary value to them. As a professional organizer, Jiliane shared that she has worked with clients who have a hard time of letting go. For sentimental things that do bring back good memories, Jiliane can offer options on how to store them without getting in the way of their space. “…For those things that do bring back good memories, I explore alternative methods for storing them with my client. Maybe you love all of the trophies your child won when they were in elementary school but they are taking up too much space. My favorite solution for this is to take photos of the trophies and keep them in an album, that way the memory can still be brought back when looking at the photo but the trophies aren’t taking up space anymore,” she explained. “Our physical surroundings can affect us mentally and emotionally. If you spend a lot of time looking for things, still can’t find those things, spend money buying new things you couldn’t find, or just want a fresh start the new year brings 365 more chances to make a change,” Jiliane said. You can call (510) 292-0583 to schedule your free, 30-minute on-site consultation, visit their website at www.TheOrganizationOrg.com, or follow and message them on Instagram @TheOrganizationOrg. TOO is also happy to offer 15 percent off on their three-hour initial professional organizing package for Asian Journal readers. • Switch from bulky, plastic hangers to thin, velvet hangers. This is one of the quickest and easiest ways to make more space. • Turn all of your hangers in one direction and as you use clothes, put the hanger back in the opposite direction. Whatever hanger isn’t turned at the end of the year, donate! • Make use of vertical space. Use command strips or hooks and nails to hang things like lids for pots, cookware, or kitchen tools. • Lazy Susans are a quick and easy way to make things more accessible! 3. One option is to, of course, hire a professional organizer. Sometimes people just need an outside boost to get the ball rolling and that is one of the biggest advantages of a hiring a professional organizer. With no judgment, we can help get your office space to a clean slate that will be easier – and quicker – to keep organized. Some professional organizers can do the work at your home while you are at work, again saving you time. 4. For those who have very busy schedules and don’t think a professional organizer is the best route, I would say to start small. 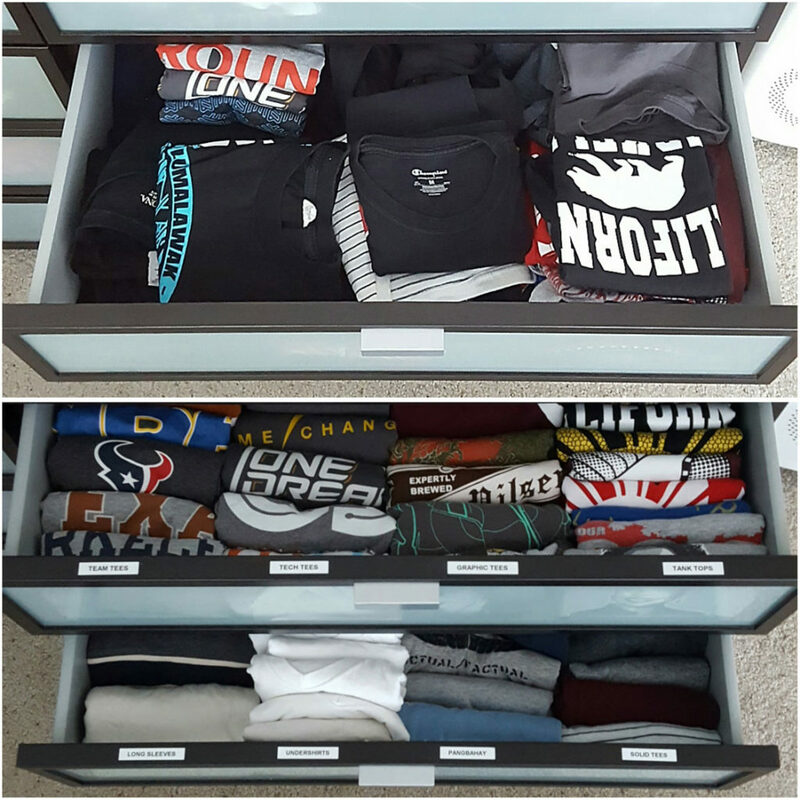 If you spend fifteen minutes organizing and do that six days a week, slowly but surely you will start to see change. If you bring your family into the equation, you can not only get more organizing done, but you get to spend time together!